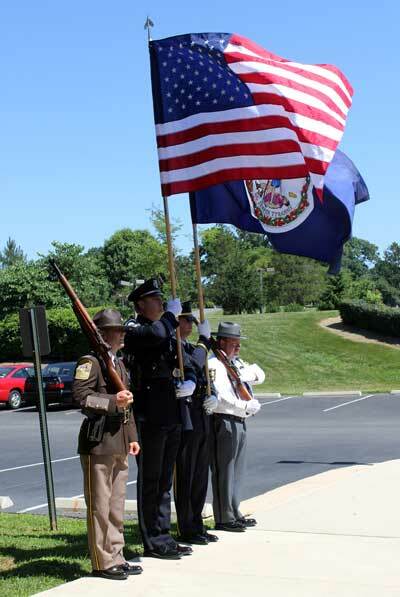 Chris and I were honored to accept Lt. Ken Baine's invitation to observe the culmination of Fairfax County Police Department's sixth annual Honor Guard seminar. 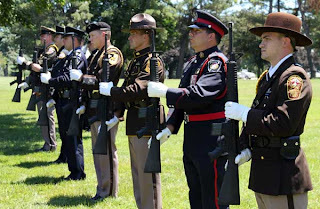 Officers from around the country (and Ontario, Canada!) came to Fairfax for three days of intensive Honor Guard training. The final day of training included a full mock funeral and burial where the officers practice something they hope is never needed: the laying of a brother or sister to rest in a line-of-duty funeral. 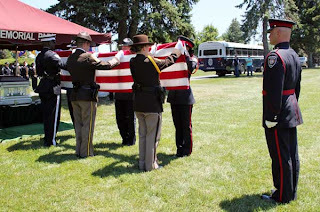 But Honor Guards are dedicated in their preparation, and the result of these exercises is the polished professionalism deserved during a funeral with honors. 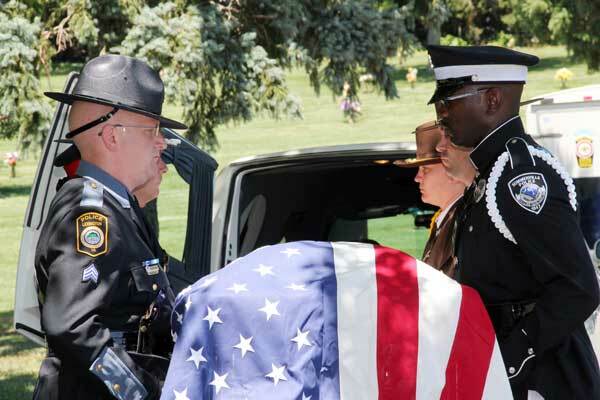 We pray that these officers never have to put their skills to the test in another line-of-duty funeral, but it was clear that they are well prepared if the time should come. 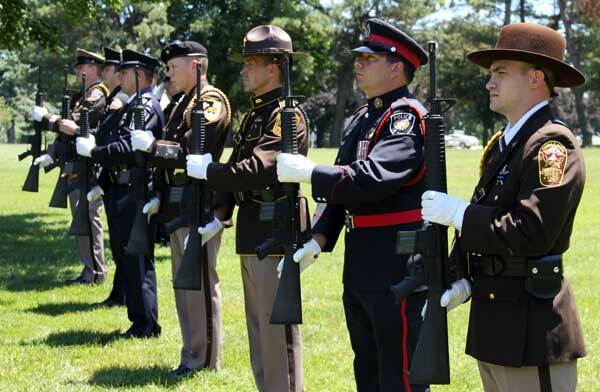 Thanks again to FCPD Honor Guard Commander, Lt. Baine, and all of the attendees of this year's seminar, for inviting us to observe what you do. All photos by Donna Spiewak. Attention Patch Collectors: We Need Your Help!